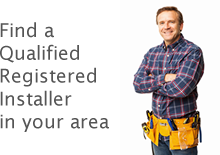 Professional installers can become Certified Installers by participating in and completing our one-day Certification Programme. 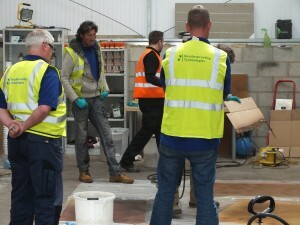 It is a rigorous and comprehensive training programme designed to teach you how to stain concrete, use a variety of decorative finishing techniques, create logos, etc., and also how to choose and apply protective coatings to newly laid or existing flooring [concrete, tiles, stone, slate, wood, etc] giving you the skills necessary to successfully build your installation business. • The programme comprises both classroom and hands-on training and you will be issued with a Completion Certificates and detailed Operations Manual, plus other items listed on our websites, upon completion. • If attending as a one day course the course starts at 9.00am and finishes about 4.00pm [depending on numbers on course] If attending as part of a two day course your trainer will inform you of 2nd dat start/finish times. 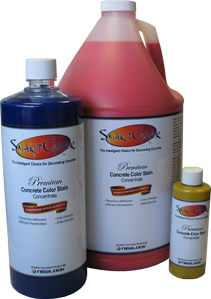 • Learn how to stain concrete. Work hands-on with our family of concrete stains and, along with advanced (faux finishing) techniques. 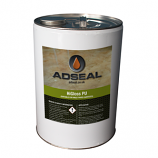 • Learn how to choose and apply the most appropriate protective coatings for internal flooring and external paving. • The goal of the programme is to give professional installers a comprehensive understanding of unique features and benefits of Adseal.info and NewLook premium products, along with the respective preparation and installation techniques so that you can use these methods to develop your own repertoire of business services based on the Adseal.info system. Once class is over our support doesn’t end, call or e-mail Drew [our Technical & Training Director] with any questions that may come up on your projects – for ever.